virus | Open Systems Computing Corp.
As a small business owner, most state laws will put the responsibility completely on you if you are a victim of cybertheft. If your company bank account is hacked and your money is stolen, tough luck – you should have had better controls in place. Surprised? Conversely, if your personal account suffers a similar fate, most state laws will hold the banks responsible. The general reasoning here is that companies should be more sophisticated and knowledgeable than individuals and should have the proper controls and security measure in place. Of course, we all know the reality of the situation is that there is a big difference between a large company with it’s own I.T. staff and a small business. Hackers and cybethieves know this as well and are exploiting the vulnerability of small businesses with fervor. 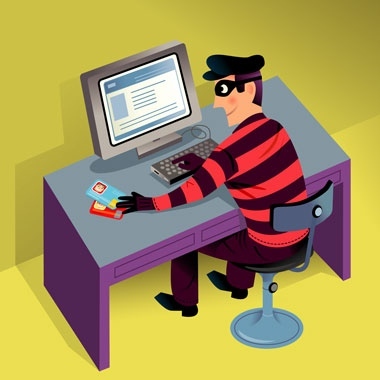 Small businesses have proven to be “soft targets” for cybercriminals. The Wall Street Journal has been all over this this topic lately and I encourage any small business owner to read the following articles referenced. The knowledge and awareness you gain could very well save you from experiencing a major cybertheft incident. As we mentioned in the beginning of this article, historically small businesses have been left to fully bear the burden of cybertheft committed upon them. But there is some good news. Two recent court rulings went in favor of small businesses suing their banks to recover funds lost due to cybertheft. So what can small businesses do? I’ll tackle that topic fully in my next post, but in the meantime, call your bank and put some controls in place that would limit your exposure to theft.